How do you change the default indent and set your own in Google Documents? I don't like how the default when you open a new Google Doc is no first line indent. Is there a way to customize the default? Set the styles how you wish. How to open local documents directly in Google Docs? Why do two Google documents look and act differently? How to remove automatic negative indent from Google Documents? How to change default tab-indentation width? How can I change the default line spacing for Google Docs? Is there a way to set up the text colour chancing with every new sentence in Google Docs? 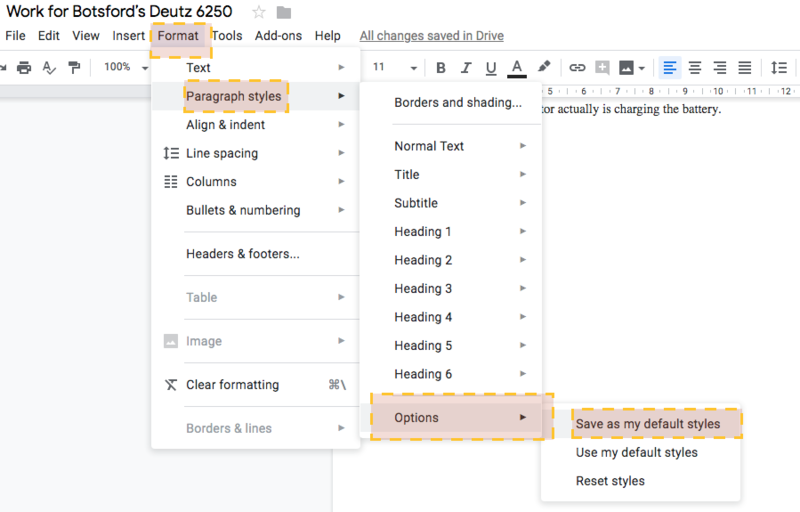 How to permanently change default page margins in Google Docs? How to change the default font & font size in Google Documents?